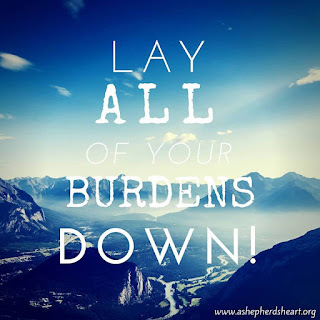 A Shepherd's Heart: Lay ALL of Your Burdens Down! We read passages like Matthew 11:28 or 1 Peter 5:7 where we're instructed about laying our burdens, anxieties and more, down and then we seem to forget about it or say, "that's nice" and then go about "our" business. It's like we take scripture sometimes as if it's a passing phrase like a well meaning greeting card or something but it's much more than this as it's the very Word of God! We are not to nor were we ever supposed to carry our burdens on our own. We cannot handle the vast weight nor should we because that's not our job...Jesus is our strength and can carry them all...it's no wonder He instructs us to give all our burdens to Him!? So, the question is...will you and I continue to be miserable, stressed out and more trying to carry too heavy a load or will you and I listen to The Savior's word of grace, truth and love and actually lay ALL of our burdens down? I pray that we lay ALL of them Down not just some of them Down, in Jesus name, amen. 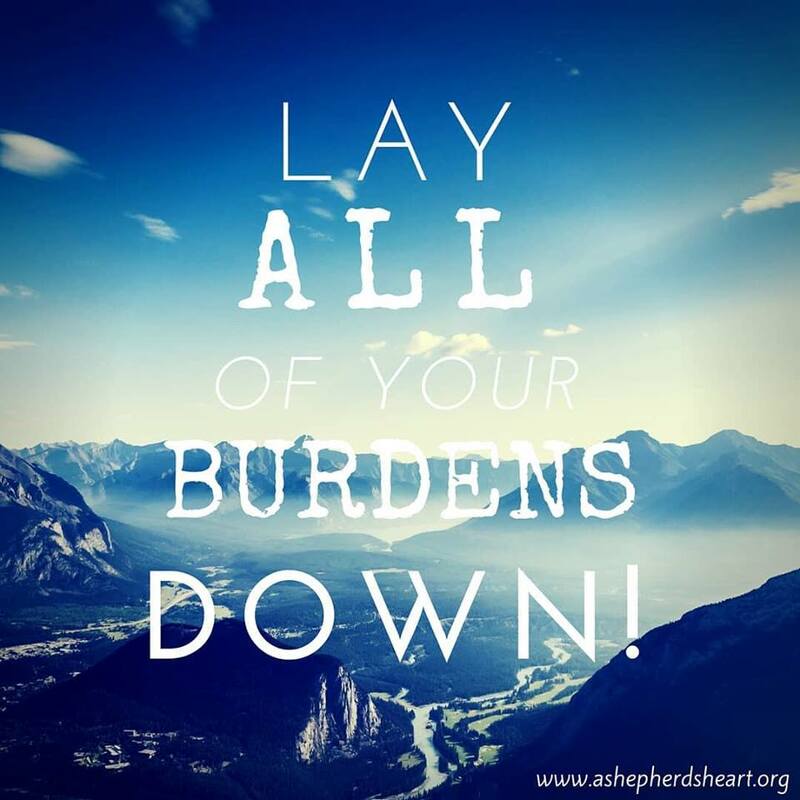 Lay ALL of your burdens down friend! P.S. Do you have a friend who is struggling under the weight of burdens? Encourage them to lay their burdens down...give them all to Jesus! Please pass on this encouragement to someone today! Just what I needed today. May God bless you! So glad to hear this! God is good! God bless you!